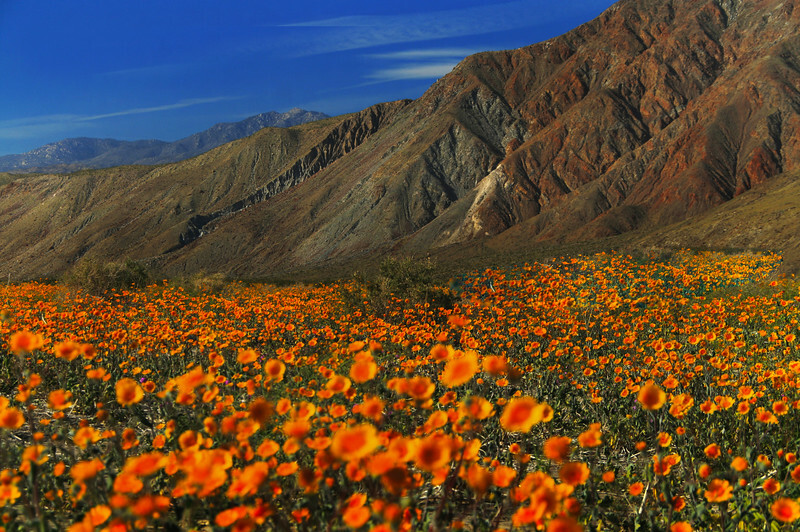 The Anza-Borrego Desert State Park is a 90-minute drive from downtown San Diego, yet another world. The desert vistas are incredible, and during certain times of the year, the desert flowers are in bloom, making for a magical desert scene. The charming town of Borrego Springs, located one mile from the park entrance, offers visitor amenities and a wide variety of activities.